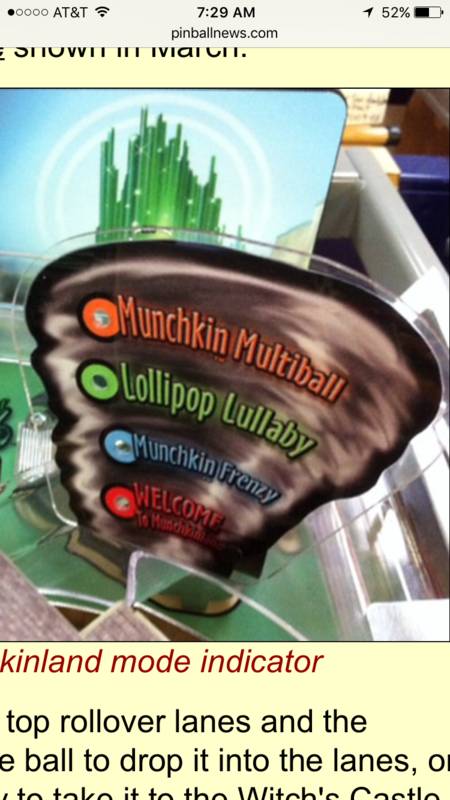 Looking for the Proto type plastic for Wizard of Oz munchkin status plastic. Anyone making reproductions of this? These are megaladon's all time market stats. megaladon currently has 1 other ad on the Pinside marketplace. Wanted Alien location Seattle New! Someone should really make this mod! Maybe Dave at ULEK store? He can make a lot of printed plastic mods for pins. I bet he could make this. I've been looking for a decent tornado to add to my WOZ and I cannot find anything except the one expensive one they offer for this game. An alternative like this prototype would be great. Yea, would love to make one or add it as it was originally intended with the lights.